I totally love those clickbait headline. I never take the bait, but I try and guess what it is that has melted away kilos of fat or made some nanna look 19 again. This whole strawberry needle business, its a debacle. My mind strays to the trillions we spend on defense, and the massive gaps we have in simple things like protecting our food supply chains, and clearly the devastating consequences that food tampering has for growers and families. The images of those tonnes of strawberries being dumped spoke volumes about the reactive response to a situation that these issues trigger and broke many a heart, including mine. I don't like strawberries much. There. i've said it. I had an accident in my late teens where I smacked my head hard on the pavement. The impact severed my taste nerves and there were certain things that I would eat that were truly hideous. Strawberries and mint being the key offenders. It all got better, but I never regained my love of strawberries But, I love farmers and producers, and I decided to try and move past my strawberry issues to support them by eating as many as I could. I smashed into a few punnets, and then had one of those genius moments. Like when they discovered fire, or the Internet. 1. Chop strawberries in pieces, mix 4 packets of whiz fizz with the strawberries and once they are well combined, freeze. 2. 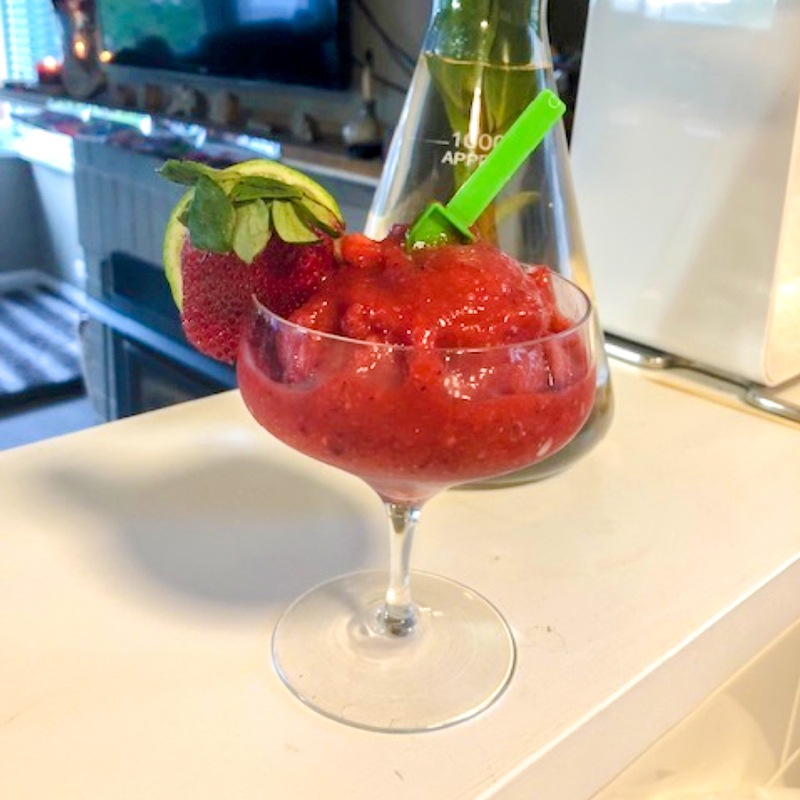 Blend the frozen strawberries, lime juice and Bacardi in a high powered blender.